I wrote down that this post was initially drafted November 1st of 2015, but I was tagged for it in 2016? Who knows! In any case, it’s overdue, and I’m excited! 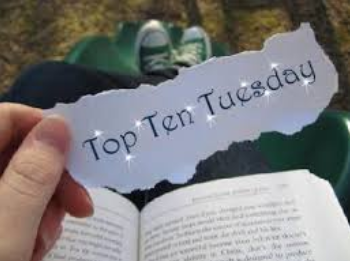 Thanks so much to Eve @ Eve Messenger’s OtherWORDLY Endeavors for tagging me! I know Halloween was yesterday, but I wasn’t able to get it up by then, so let’s just pretend it’s today, shall we? Isn’t it All Hallows’ Day anyway? Yep, totally. Let’s go with that. CARVING PUMPKINS- What book would you carve up and LIGHT ON FIRE? Wow, starting off feisty, aren’t we! 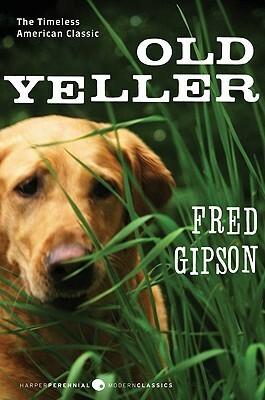 Hmmm… The one that comes to mind for this is Old Yeller. I hated that book. WHY DOES IT EXIST. I’d be happy to make it go away. DEATH TO ALL ANIMAL DEATH. TRICK OR TREAT – What character is a trick? Which is a treat? Trick- This is easy; River from The Graces! She’s definitely a character that surprised me. That book is super dark and creepy and stalker-y and AGH it was fabulous. Hopefully I can get a review up for it soon! Treat- This is harder. I think I have to go with Matilda! She’s the sweetest little bookworm and I absolutely loved that book. Ugh. Now I’m getting the urge to reread it. CANDY CORN- What’s a book that’s always sweet? Hmmmm… Always? As in every time I read it? I don’t reread too many books. 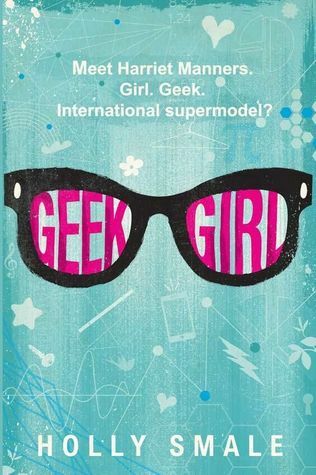 I think I have to go with Geek Girl by Holly Smale. I’m not sure that I’ve reread the first book but they’re all super sweet! GHOST – What character would you love to visit you as a ghost? DRESSING UP IN COSTUME – What character would you want to be for a day? 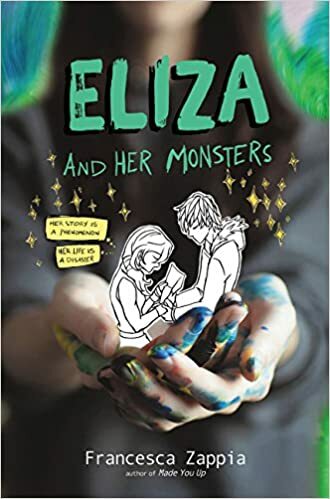 I think I have to go with Eliza from Eliza and Her Monsters. No more than a day, as I absolutely could not draw comic panels like that (or deal with the fans) but I think it would be neat to see through her eyes for a day. WIZARDS AND WITCHES – What is your favorite Harry Potter moment? BLOOD AND GORE- What book was so creepy you had to take a break from it? This is difficult too. I haven’t read too many “hard-core” horror books, but the horror I have read, I enjoy. Books don’t usually bother me for things like that. 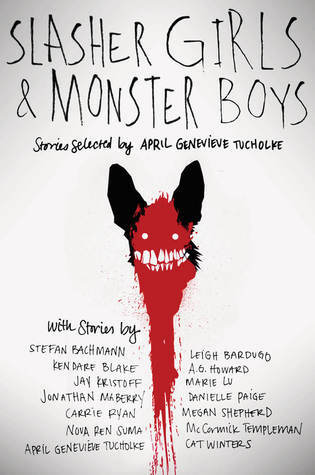 In any case, I suppose I’d have to pick Slasher Girls and Monster Boys, put together by April Genevieve Tucholke. I definitely put it down in between stories, for multiple reasons. And that’s my Halloween book tag! I’m not going to tag anyone, as I don’t think it’s fair to expect someone to save it for next year, but I would love to see your answers for this! If you’d still like to do it as a “fall” book tag or want to do it next year, feel free to pick it up! It’s definitely up for grabs. 🙂 This is your OFFICIAL INVITATION. Seriously. ‹ PreviousAlphabethon Round 4- D TBR! this tag was so fun to read!!! I LOVE LOVE LOVE Matilda and probably read that book/watched the movie 50 times each in middle school. That Harry Potter moment was AMAZING! you need to finish the rest of the books!!!!! Yay, I’m so glad you enjoyed it!! YES, she’s the best! 😉 Haha I have finished all of the books, just not the movies. Hopefully I can get to them all soon! Thanks, I’m glad you enjoyed it in any case! 😉 Haha so true. Yay!! Hahaha Eliza is totally the coolest. MOANA’S GRANDMA IS MY DREAM PERSON. SLASH BEST FRIEND. I love her TOO much.